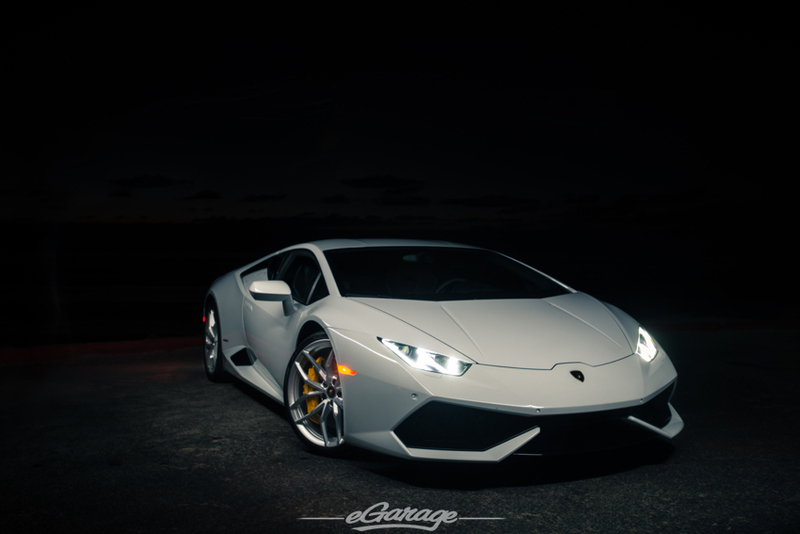 The Lamborghini Huracan, a newborn from Lamborghini line of vehicles. 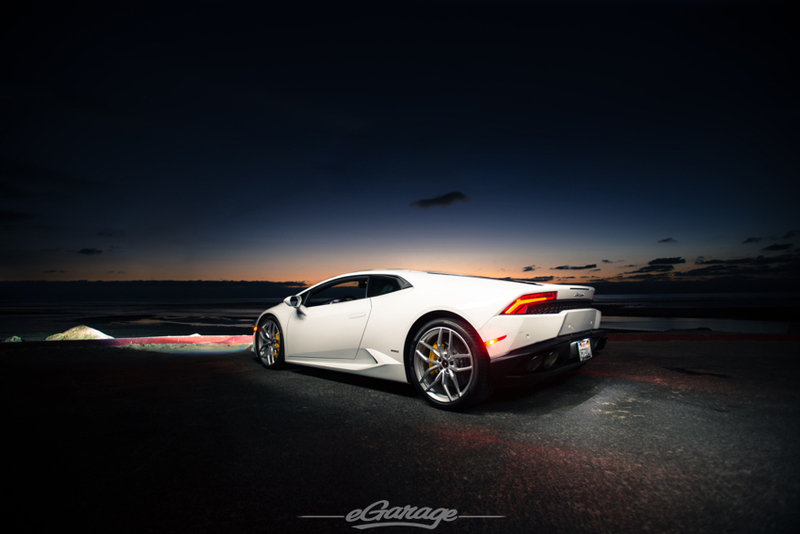 The most significant aspects that have been a common way of associating with a V10 Lamborghini is first, the sharp and angular shape that has ran in the family of all Lamborghini models since the Miura. The newest addition to the legendary family is an even more technologically advanced and more powerful version of the previous iteration, which ultimately means that one can go from Zero to not legal anywhere except the Autobahn that much quicker. Every single aspect that was known to be flawed is simply ten times better on the Huracan. The original E-Gear paddle shift transmission has been replaced by a much more quick and efficient dual-clutch transmission from the new Audi R8 V10. 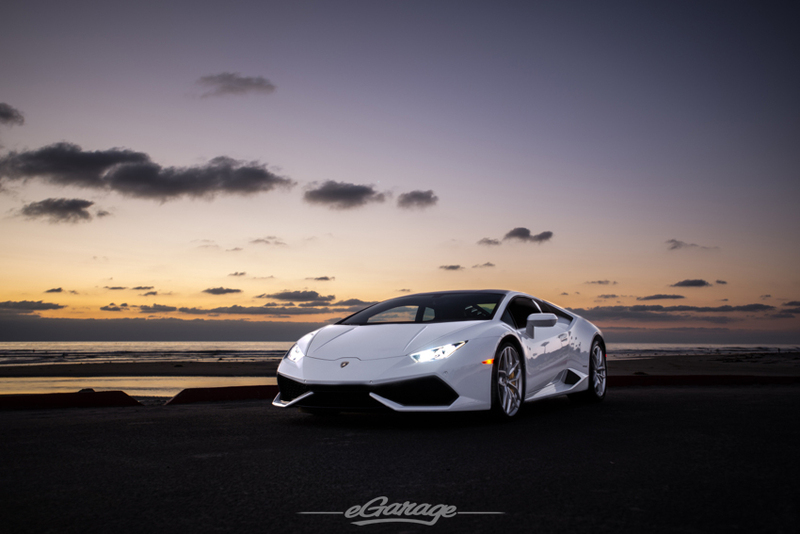 While the transmission is similar to that of the R8, the Huracan also shares the original 5.2 liter V10 as well, which, proven by the predecessor of the Huracan, the Gallardo, is an absolutely astonishing combination, continuing Lamborghini’s mantra of having both great Italian looks and an engine to match them. The other aspect of the car that has changed almost entirely is the interior. Once the door is open jaws will drop. In my opinion is the most magnificent interior in a sub $300,000 car. My preference is the more extreme, fighter pilot, performance style seats, however, this car had the more ergonomic black leather seats with contrasting white stitching. 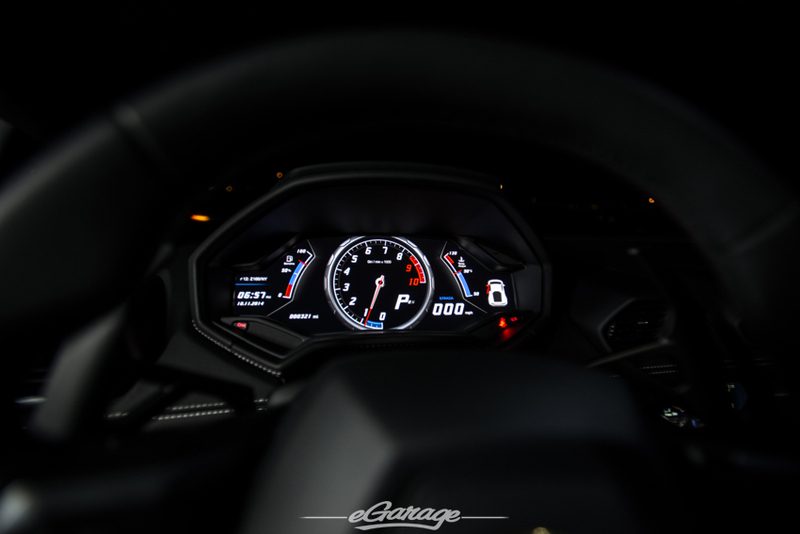 One of the biggest updates that is immediately noticeable once the red switch is flipped up and the symphonic V10 is started is the all new gauge cluster. There are not too many photos in this article of this feature but it truly does highlight the fact Lamborghini is trying to make its new cars able to be driven on a daily basis. It includes the interchangeable tachometer and speedometer but those two can be switched out for a full-screen navigation screen. After all the talk of the more efficient and adaptions to be driven on a daily basis, the really incredible advancement is the updated engine. The new switch located at the bottom of the steering wheel is yet another great addition to an already impressive vehicle. The name for the switch is the “ANIMA” which means “soul” is truly how you can change the car’s entire personality. One could let their wife take it to go grocery shopping in the “automatic” or “strada” mode and attempt to stuff the groceries in the slightly larger trunk and you could drive the car all the way to a racetrack, flick the selector down to “corsa” set an untouchable lap time and drive it back home again. The versatility of this car is absolutely ridiculous for a car of this nature, minus having a third or fourth seat to scare some unsuspecting passengers. 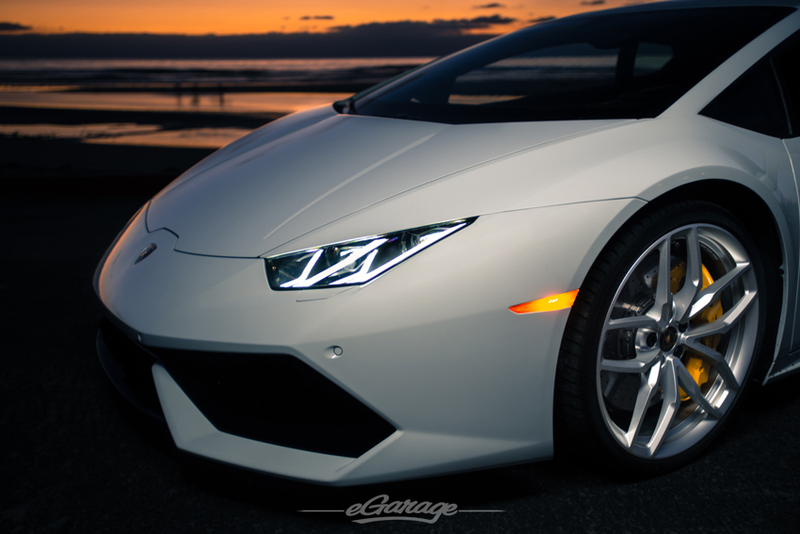 The Huracan now pumps out a total of around 600 hp and it is shocking how easy the car is to drive on regular road. More importantly, besides the engine, the exhaust is without a doubt the most notable of the performance changes. Even a cold start will be sure to wet some pants and send chills down the backs of anyone who cares to take a listen. Different than previous generation Lamborghinis the exhaust on the Huracan has increasingly more common “crackling.” I know it is hard to explain this crackling of the exhaust but I am sure anyone who reads this article will know exactly what I am referring to. It is a sound that must be heard and cannot be described, similar to how fine art must be seen in person and a picture will just not capture the true beauty of it. With every downshift the exhaust will just continue to crackle until you are ready to put your foot down and yet again break the speed limit. With every new Lamborghini they just can’t stop getting better. I am currently dead set on the fact that this is the best V10 Lamborghini ever built, but I know I will be proven wrong again by them within the next decade. That is the only time I think I could be so overjoyed of being proven wrong.